As some of you might have seen last week on Facebook, I was busy building a wire trellis for the latest addition to my garden. A wine grape! While I realize that it is fairly late in the year to be planting a grape vine, (usually this should be done in the spring to give the plant time to develop a strong root system) and probably won’t get much in the way of grapes this year, I was super excited when I was gifted this wine grape from my Uncle Bruce! I am not entirely sure exactly what kind of grape it is, but for the purposes of building a trellis it really doesn’t matter. Do Grapes Require A Trellis? Traditionally in Europe grapes vines were coppiced instead of trellised. This essentially means the vine was grown without a trellis for the grapes to grow up and instead the entire plant was pruned back to the main stem every few years, allowing new shoots to grow from the base of the plant. The end result looks like a small bush growing 3 or 4 feet above the ground. 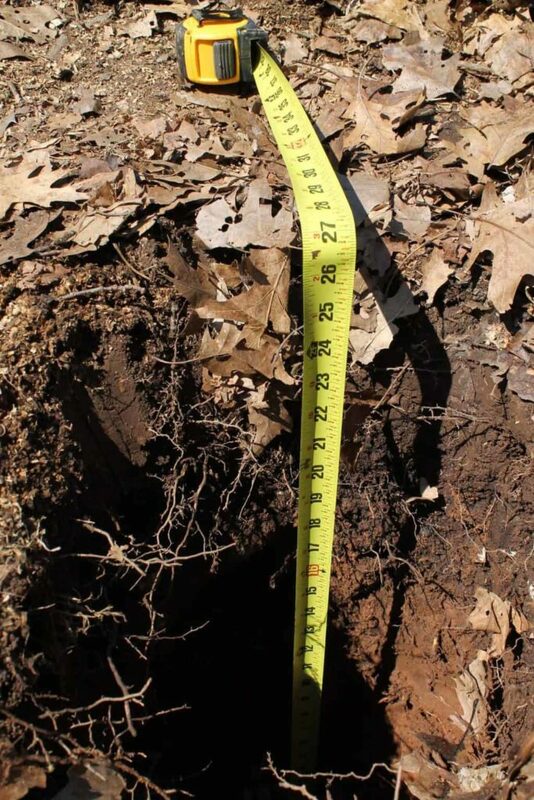 Since grape vines only bear fruit on first-year shoots, coppicing ensured that every year new shoots would grow from the main stem and produce an ample harvest. Because the root system is already fully developed, these new shoots grow remarkably quickly. The advantage to having a grape vine grow up a trellis is that, while you still need to prune the vine back to the major stems, you can expose the plant to more sunlight and airflow, resulting in a healthier and bore balanced growing plant. Trellising grapes was initially introduced to help reduce disease among the plants as trellising provides better airflow and sun exposure. This method of growing grapes is also more controlled allowing for the production of more fruit. So how do you build a trellis and what kind of trellis should you build? Well that entirely depends on what you want to do in your garden! 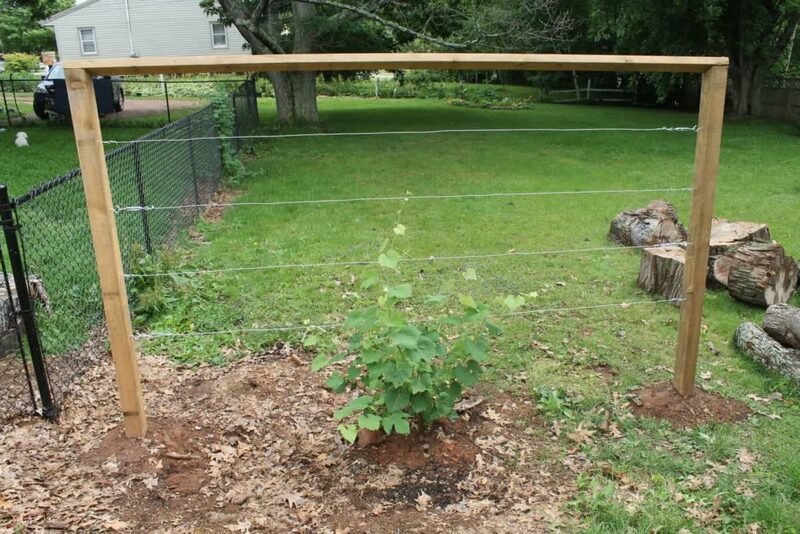 I am planning on using the trellis as a privacy screen on the edge of the property line, as well as providing a place for my grapes to grow and provide lots of fruit for me! I am a firm believer in growing your own produce, since outside of requiring a little work, it’s well, free! 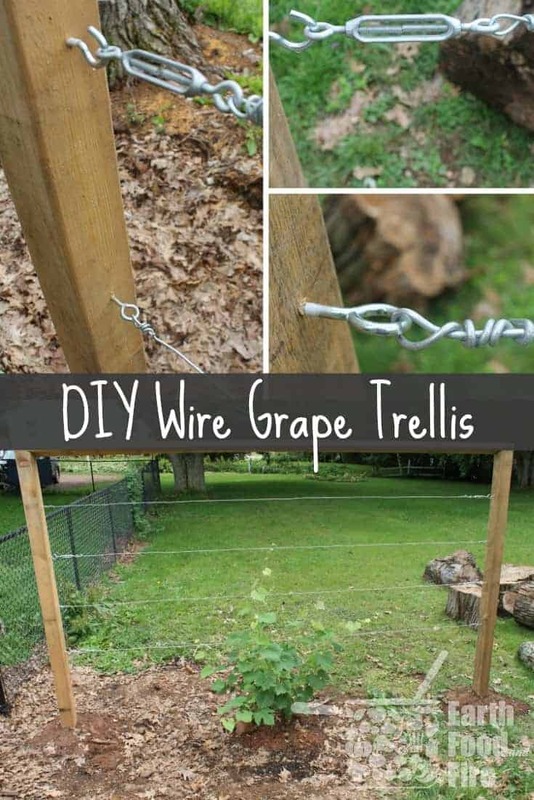 You could build a trellis using a piece of lattice, you can construct an arbour style gate, you can even use a fence line to help train your grape. Seeing as I don’t have a current fence on the property line, I decided to go with a more traditional wire trellis. -two 4x4x8 fence posts of which I cut a 22 degree angle at one end. – 4 turnbuckles, 4 J-hooks and 4 eye screws. I also bought a few bags of crushed gravel which went into the post holes. 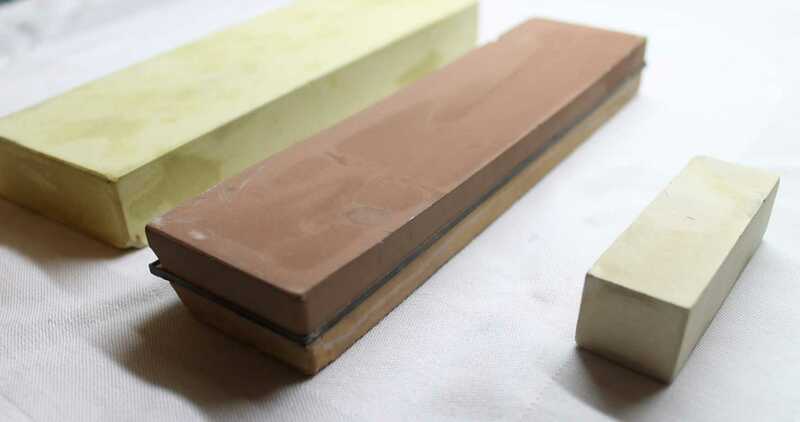 This helps water drain away from the wooden posts which helps reduce rotting. The gravel has the added benefit of creating a more compact base for the posts to stand in. I started by digging two 2ft deep post holes for my fence posts 10ft apart. Since I did not have access to any heavy machinery, I dug these by hand. Let me forewarn you, it took about an hour to dig just two holes. I made the holes about 12 inches in diameter, giving me enough room to get a spade down into it, yet at the same time keeping it small enough to ensure a snug and secure base for the posts. Since I wanted a 6ft high trellis I dug the post holes to a depth of about 2.25 feet. The extra depth will be explained shortly! moves the ground considerably. I placed the fence post in the hole and filled the hole three-quarters of the way with crushed gravel. I made sure to use a leftover piece of 2×4 to stamp down the gravel and create a really nice compact base. I could tell the post was already starting to feel quite secure and had minimal movement. 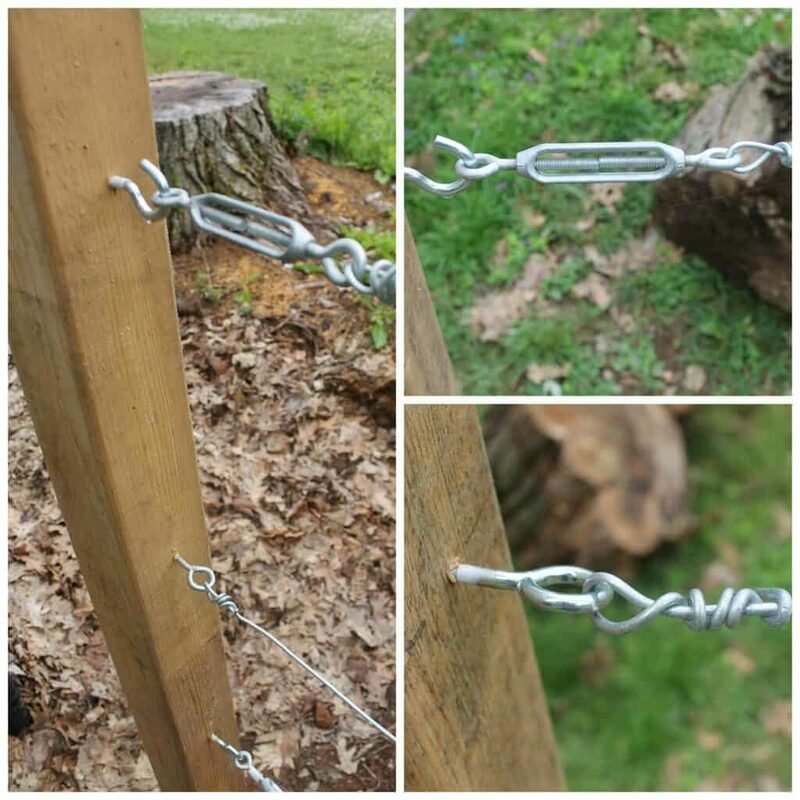 This is the time when you want to use a level and ensure your fence posts are straight! 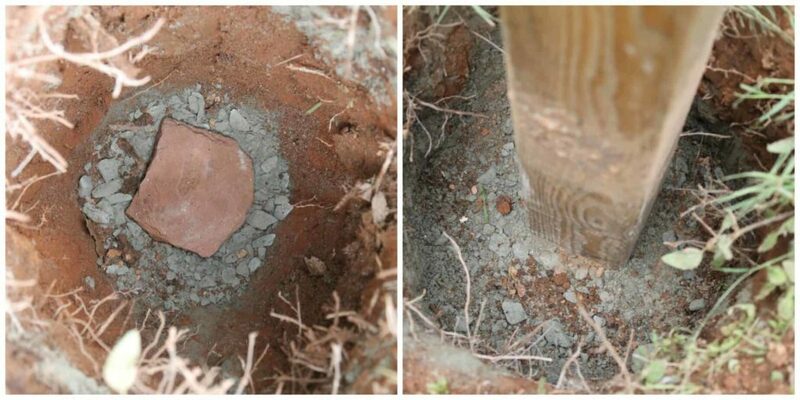 After you fill in the rest of the hole with excess dirt and compact that down as well, your fence post is essentially set in place and you will not be able to straighten it out without having to dig up the entire shebang. Once the posts were securely planted in the ground and level, I screwed the 10ft 2×4 to the top of the posts. The entire frame almost instantly became rock solid and there was hardly any wiggle left at all. As I had mentioned previously, I installed the top bar at a 22-degree angle. 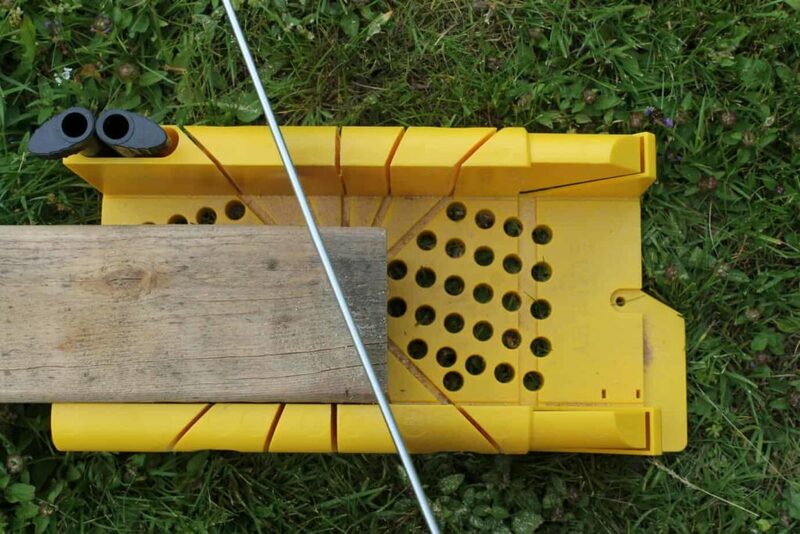 This allows water to run off the top bar of the trellis and reduces the chance that the wood will rot. The next step involves drilling pilot holes 1 foot apart all the way up the end posts, on the inside of the frame. Into these pre-drilled holes, I screwed the J Hook on one end and the Eye Screw on the other. This gives me a solid anchor to which I can attach my steel wire on one side. The J-hook allows me to attach the adjustable turnbuckles on the other side of the frame. This allows me to tighten the wire as needed if the ground shifts or the vine becomes too heavy and the wire begins to sag. I alternated on which side I installed the turnbuckle, to evenly distribute the force the wires would exert on the posts in the frame. After installing the wire and tightening them with the turnbuckles, all that was left was to dig a hole for my grape vine and transplant it! This was arguably the easiest part, since I had to deal with 3 or 4 giant root sections, that I luckily seemed to have avoided with the post hole placement. After clearing out the roots, and mixing some fresh compost into the hole, the grape vine was transplanted into its final resting place. You can find more DIY gardening tips and tricks in the “Earth” section of the blog. 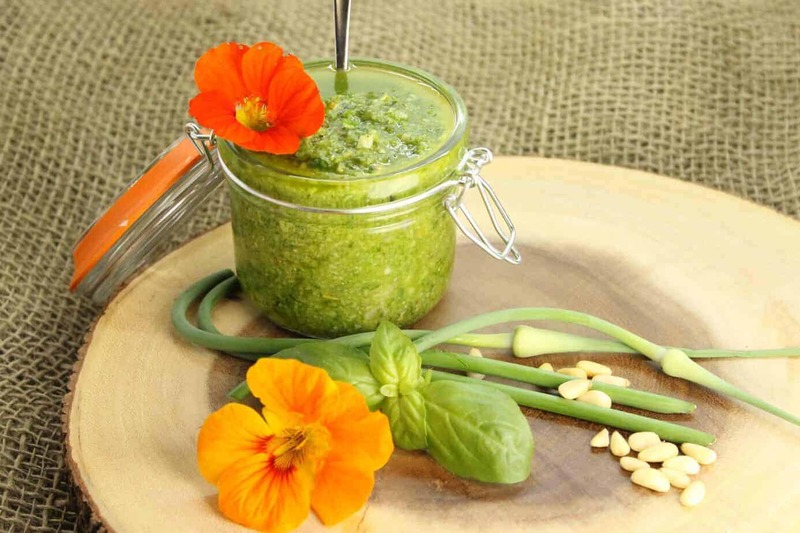 I will periodically be posting about my adventures in growing my own produce to use in various recipes (such as garlic in this Basil & Garlic Scape Pesto) and setting up a fully fledged vegetable garden!! Follow me on Facebook, Twitter, and Pinterest to stay up to date with the growth of this grapevine and if I end up changing anything on this wire trellis! As always if you have any questions leave a comment below or send me an e-mail! Could something similar be used for raspberry plants? Hi Athena, It could yes. You would just want to build it quite a bit smaller. Something like 5 feet high, because raspberry canes do not grow as tall.